Award-winning filmmaker, screenwriter, producer, music composer and singer, Vishal is a man of many talents. His sessions delve into the realms of creativity to help people develop a vision for their lives and follow their passions. 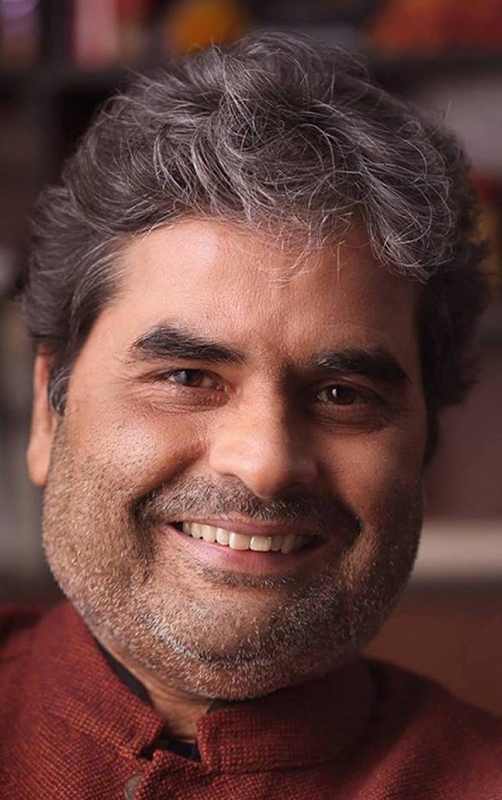 After making his debut as a music composer in the 1995 film Abhay (The Fearless), Vishal’s claim to fame came with his melodious compositions for Gulzar’s Maachis in 1996 – for which he was awarded the “Filmfare RD Burman Award for New Music Talent”. Amongst his directorial ventures, he has gained both critical acclaim and popularity for his Indian adaptions of Shakespeare’s three tragedies, namely Maqbool (Macbeth), Omkara (Othello) and Haider (Hamlet). The trilogy was screened as part of an event marking William Shakespeare’s 400th death anniversary co-hosted by the British Film Institute in London. Over his illustrious career, Vishal has been the recipient of a Filmfare Award, one of the oldest and most prestigious award ceremonies in India recognizing talent from the Hindi film industry, as well as seven National Film Awards by the Indian Government. Audiences love Vishal for his poetic storytelling that brings alive themes that closely hit home – from dreams and hopes to trials and tribulations, that make us who we are.